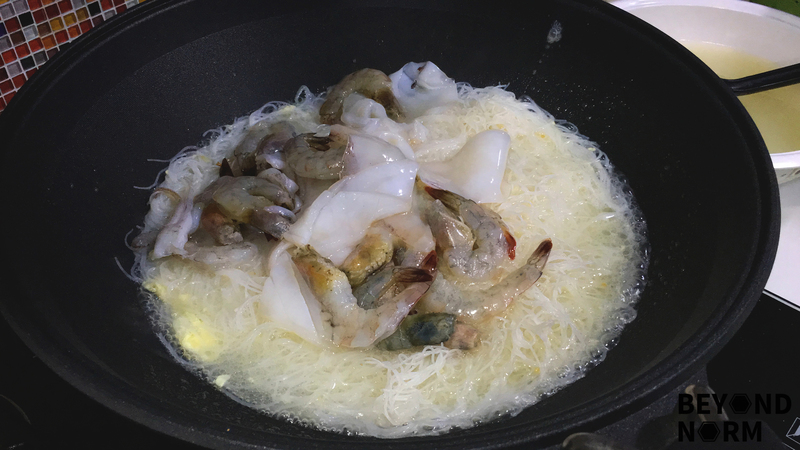 Seafood White Beehoon was first made popular by You Huak restaurant in Sembawang, Singpaore. 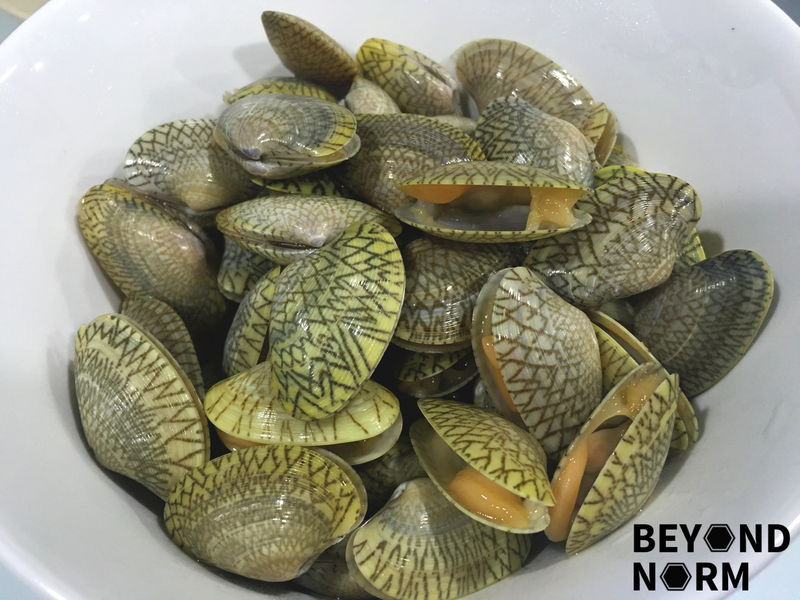 But in recent years, many others have started to serve it in hawker centres. Some of my friends have tried from various places and complained that it was quite bland while others were crazy about it. This is a fairly easy dish to prepare and is an ideal one pan dish for a family dinner or gathering. 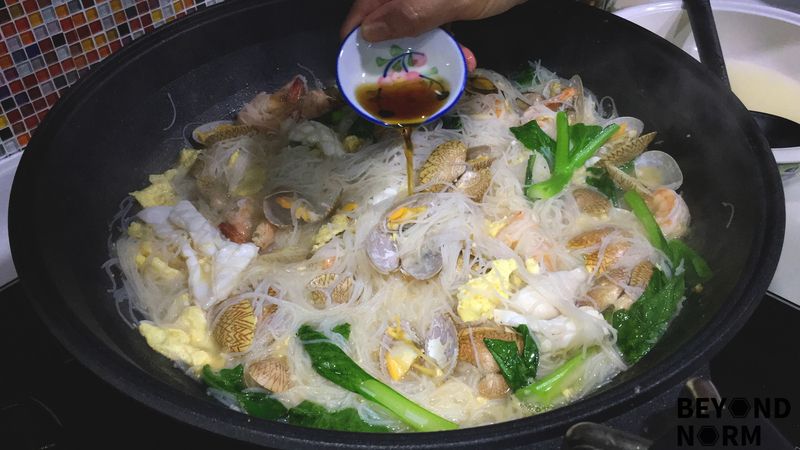 The secret of turning bland beehoon into a tasty dish lies in a robust stock!! You may use any seafood to your own liking; from prawns, squids, and clams to crayfish, lobsters, and crabs!! 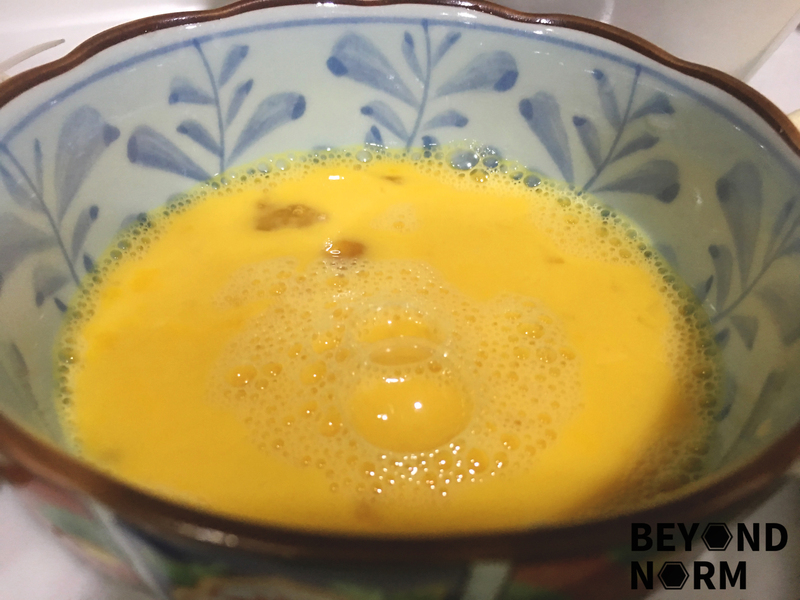 As it is the first time my daughter is savouring this dish, she asked me while I was cooking if it will taste somewhat like Wan Tan Hor or Singapore Fried Hokkien Prawn Mee? Hmm… What do you think? For me to know and for you to find out. Her verdict was that the whole noodle dish tasted so flavourful and delicious that we do not have enough to eat!! Put the bones in a pot of water and bring to a boil for 3 to 4 mins. Remove the bones and rinse them to get rid of the scum. Fill the pot with 20 cups of water and put the bones into it. Add dried prawns and the rock sugar, cover and bring it to a boil. Then reduce heat and simmer for 3½ hours, skimming off any scum that floats to the surface. Add the marinade into the prawns and squid. Set aside in the fridge for later use. Soak the beehoon in a pot of cold water until the beehoon has softened. 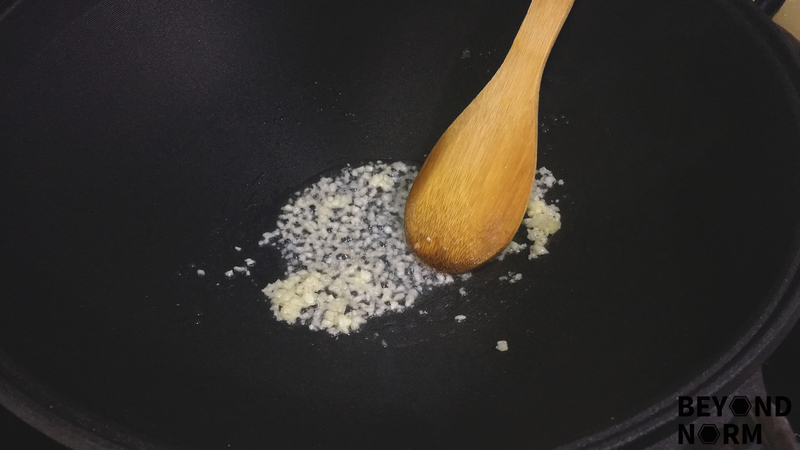 Heat wok with 2 tablespoons of oil and add in the garlic. Add the beehoon to the wok. Drizzle some oil around the sides of the wok. Leave for one to two minutes before turning over. Remove and set aside. 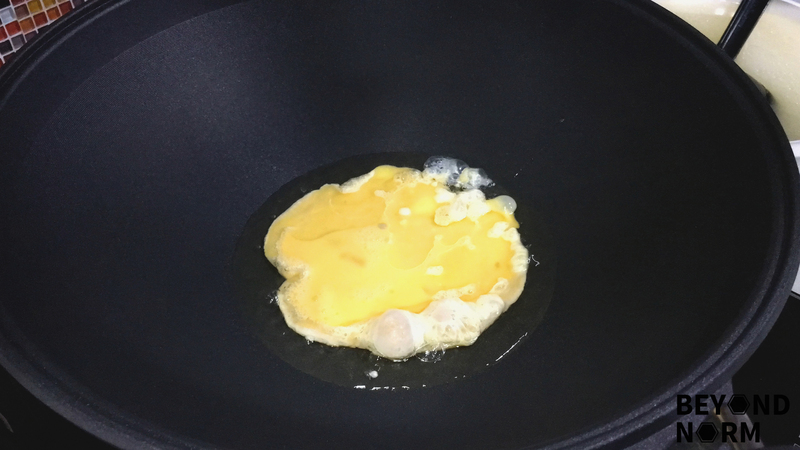 Wipe the wok clean and add ¼ cup of oil. 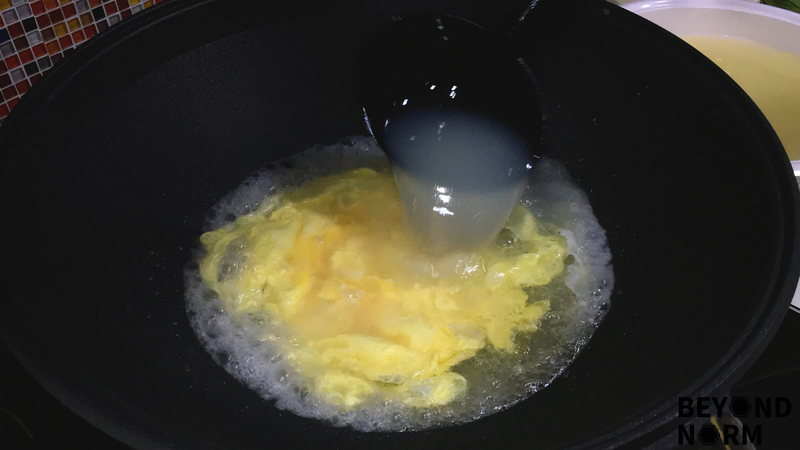 When the oil is hot, add in the beaten eggs and let it cook. If you like, you can quickly scramble the eggs. 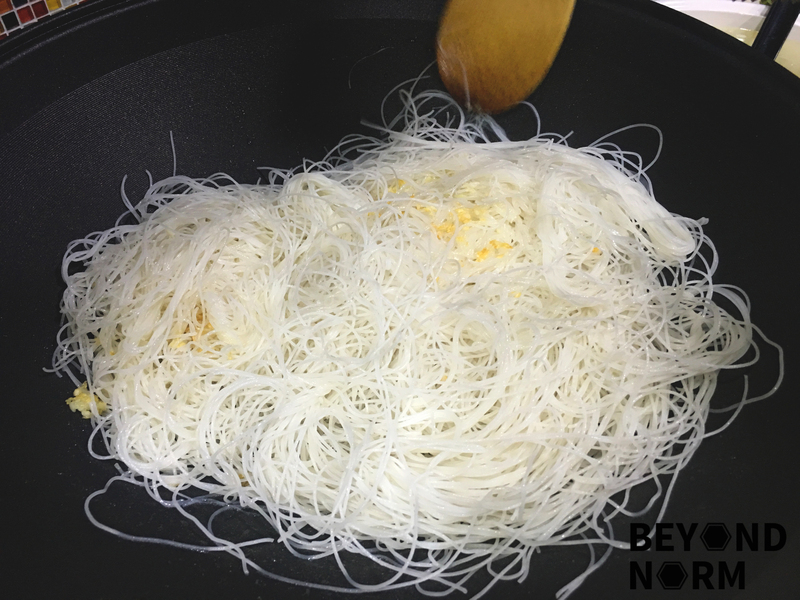 Before the eggs are fully cooked, add the stock and then the beehoon. Followed by the prawns, squids and clams. Give a quick stir and cover to simmer for 5 minutes or till the seafood is cooked through. Add in the green vegetables and mix in well till they are cooked. Finally add in the fish sauce to taste. Dish and serve with the calamansi juice on the beehoon.